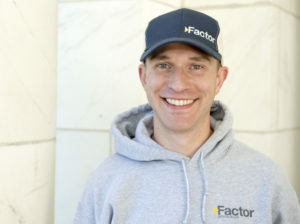 Travis Orme is a project manager at Factor Design Build. He graduated from the University of Puget Sound, where he played collegiate soccer and double majored in international business and Spanish. He has worked in the construction industry for over a decade and even longer in property management. Before joining Factor, he developed and built high-end custom residences in the Highlands. He is well versed in both the design elements and physical components of construction. He is a 5th generation Coloradan and was raised in Boulder. Outside of the office he enjoys playing soccer, hiking, skiing, and traveling with his wife Shauna.